NIFT Result 2019 : You are at the right place if you are searching for procedure to download NIFT 2019 Exam Result. In this article we covered Declaration Date, Procedure to download and other further event of this Engineering Entrance Exam. There are no official Dates but NIFT Result is expected to be released in February/ March 2019. More Events and their Tentative Dates are given in the table. 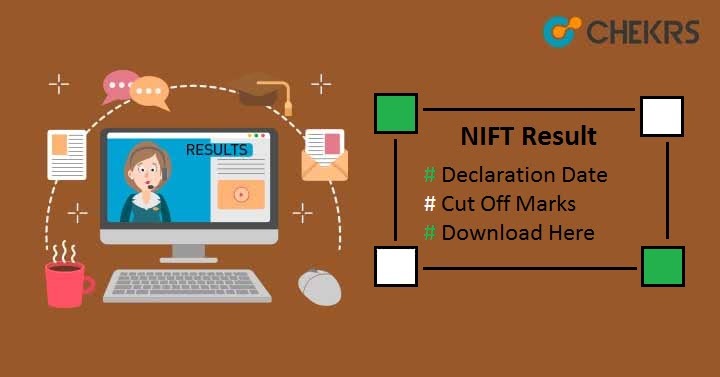 Now After getting the Dates, You can check procedure to download NIFT Result 2019. All the candidates who appeared in the exam can check their result by going through below procedure. Find the Result Link, and Click on it. Now on the newly opened Page, Enter all the asked Details such as NIFT Roll number, Date of Birth and Application number. Your Result will appear there. After Declaration of Result NIFT Cut Off will be declared by National Institute of Fashion Technology. The Cut Off Mark is the section and campus-wise closing rank. Some Previous Year’s, Popular Institutes Cut Off Marks are listed Below. Qualified Candidates will be called for Situation Test / Group Discussion / Interview. The Procedure demands upon the Mode of Admission or Selection Procedure. We Covered all these stuff in a separate Article. So You will get better idea there. Now after All these events, A Final Result and NIFT Merit List will be Declared on the official Website. The Final Result will be considered for the Admission. So you have to Perform best in exam as well as in these events also. After the declaration of Final Result candidates can get admission in the institutes on the basis of institutes Cut Off.